Vanilla Music adds original music to Minecraft PE with which it's much more fun to play. The collection consists of 7 songs, the total size of which is 120 MB. 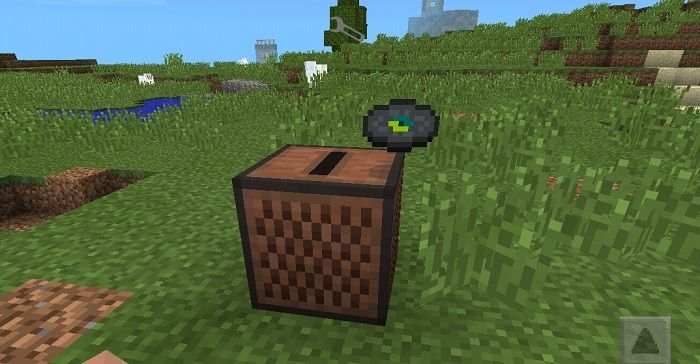 To enable music, the player must use a jukebox and music discs. Put the jukebox somewhere in your house and insert a music disk into it. After a moment you will hear pleasant music that does not bother and acts as a sedative depending on the genre. All the songs are pretty quiet and you can turn them off by pressing the pause button. Ambient Sounds can also diversify the boring journeys between biomes, adding beautiful and realistic sounds to each biome. How to install the Vanilla Music addon?